2012- Head of Master program 2nd year "Integrative Biology of Plant-Microbe-Environment Interactions"
2012-2015 Codirection/Direction of research group "Mycorrhiza: mechanisms and management"
Walker C, Gollotte A, Redecker D. 2018. A new genus, Planticonsortium (Mucoromycotina), and new combination (P. tenue), for the fine root endophyte, Glomus tenue (basionym Rhizophagus tenuis). Mycorrhiza. doi: 10.1007/s00572-017-0815-7. Morriën E, Hannula SE, Snoek LB, Helmsing NR, Zweers H, de Hollander M, Lujan Soto R, Bouffaud M-L, Buée M, Dimmers W, Duyts H, Geisen S, Girlanda M, Griffiths RI, Jörgensen H-BJO, Jensen J, Plassart P, Redecker D, Schmelz R, Schmidt O, Thomson BC, Tisserant E, Uroz S, Winding A, Bailey MJ, Bonkowski M, Faber JH, Martin F, Lemanceau P, de Boer W, van Veen JA, van der Putten WH. 2017. Soil networks become more connected and take up more carbon as nature restoration progresses. Nature Communications. 8:1–10, doi:10.1038/ncomms14349. Bouffaud M-L, Creamer RE, Stone D, Plassart P, van Tuinen D, Lemanceau P, Wipf D, Redecker D. 2016. Indicator species and co-occurrence in communities of arbuscular mycorrhizal fungi at the European scale. Soil Biology and Biochemistry. 103:464–470, doi:10.1016/j.soilbio.2016.09.022. Bouffaud M-L, Bragalini C, Berruti A, Peyret-Guzzon M, Voyron S, Stockinger H, Tuinen D, Lumini E, Wipf D, Plassart P, Lemanceau P, Bianciotto V, Redecker D, Girlanda M. 2016. Arbuscular mycorrhizal fungal community differences among European long-term observatories. Mycorrhiza. doi:10.1007/s00572-016-0753-9. Schoch CL, Seifert KA, Huhndorf S, Robert V, Spouge JL, Chen W, Levesque CA, Fungal Barcoding Consortium, 2012. The internal transcribed spacer (ITS) as a universal DNA barcode maker for fungi. Proceedings of the National Academy of Sciences of the USA, 109: 6241–6246. Sýkorová Z, Börstler B, Zvolenská S, Fehrer J, Gryndler M, Vosátka M, Redecker D, 2012. Long-term tracing of Rhizophagus irregularis isolate BEG140 inoculated on Phalaris arundinacea in a coalmine spoil bank, using mitochondrial large subunit rDNA markers. Mycorrhiza 22, 69-80, DOI: 10.1007/s00572-011-0375-1. Lekberg Y, Meadow J, Rohr JR, Redecker D, Zabinski CA, 2011. Importance of dispersal and thermal environment for mycorrhizal communities: Lessons from Yellowstone National Park. Ecology, 92, 1292-1302. Weiß M, Sykorová Z, Garnica S, Riess K, Martos F, Krause C, Oberwinkler F, Bauer R, Redecker D, 2011. Sebacinales everywhere: previously overlooked ubiquitous fungal endophytes of plants. PloS ONE, 6(2): e16793. doi:10.1371/journal.pone.0016793. Baar J, Paradi I, Lucassen ECHT, Hudson-Edwards KA, Redecker D, Roelofs JGM, Smolders AJP, 2011. Molecular analysis of AMF diversity in aquatic macrophytes: A comparison of oligotrophic and ultra-oligotrophic lakes. Aquatic Botany 94, 53-61. Thiéry O, Börstler B, Ineichen K, Redecker D, 2010. Evolutionary dynamics of introns and homing endonuclease ORFs in a region of the large subunit of the mitochondrial rRNA in Glomus species (arbuscular mycorrhizal fungi, Glomeromycota). Molecular Phylogenetics and Evolution 55, 599-610. Blaszkowski J, Ryszka P, Oehl F, Koegel S, Wiemken A, Kovács GM, Redecker D, 2009. Glomus achrum and G. bistratum, two new species of arbuscular mycorrhizal fungi (Glomeromycota) found in maritime sand dunes. Botany 87, 260-271. Mathimaran N, Falquet L, Ineichen K, Picard C, Redecker D, Boller T, Wiemken A, 2008. Microsatellites for disentangling underground networks: Strain-specific identification of Glomus intraradices, an arbuscular mycorrhizal fungus. Fungal Genetics and Biology 45, 812-817. Börstler B, Raab PA, Thiéry O, Morton JB, Redecker D, 2008. Genetic diversity of the arbuscular mycorrhizal fungus Glomus intraradices as determined by mitochondrial large subunit rRNA gene sequences is considerably higher than previously expected. New Phytologist 180, 452-465. Appoloni S, Lekberg Y, Tercek M, Zabinski C, Redecker D, 2008. 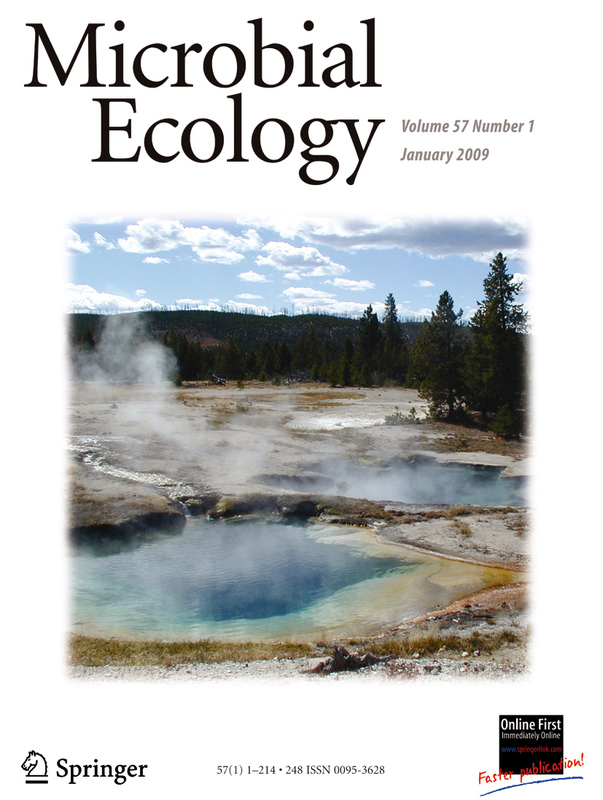 Molecular community analysis of arbuscular mycorrhizal fungi in roots from geothermal soils in Yellowstone National Park (USA). Microbial Ecology 56, 649-559. Sýkorová Z, Wiemken A, Redecker D, 2007. Co-occurring Gentiana verna and Gentiana acaulis and their neighboring plants in two Swiss upper montane meadows harbor distinct arbuscular mycorrhizal fungal communities. Applied and Environmental Microbiology 73, 5426-5434. Sýkorová Z, Ineichen K, Wiemken A, Redecker D, 2007. The cultivation bias: different communities of arbuscular mycorrhizal fungi detected in roots from the field, from bait plants transplanted to the field, and from a greenhouse trap experiment. Mycorrhiza 18, 1-14. Redecker D, Raab P, Oehl F, Camacho FJ, Courtecuisse R, 2007. A novel clade of sporocarp-forming species of glomeromycotan fungi in the Diversisporales lineage. Mycological Progress 6, 35-44. 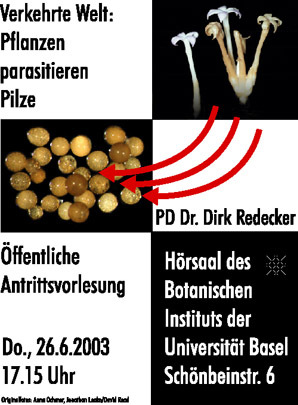 Redecker D, Raab P, 2006. Phylogeny of the Glomeromycota (arbuscular mycorrhizal fungi): recent developments and new gene markers. Mycologia 98, 885-895. Oehl F, Sýkorová Z, Redecker D, Wiemken A, Sieverding E, 2006. Acaulospora alpina, a new arbuscular mycorrhizal fungal species characteristic for high mountainous and alpine regions of the Swiss Alps. Mycologia 98, 286-294. Hijri I, Sýkorová Z, Oehl F, Ineichen K, Mäder P, Wiemken A, Redecker D, 2006. Communities of arbuscular mycorrhizal fungi in arable soils are not necessarily low in diversity. Molecular Ecology 15, 2277-2289. Roesti D, Ineichen K, Braissant O, Redecker D, Wiemken A, Aragno M, 2005. Bacteria associated with spores of arbuscular mycorrhizal fungi Glomus geosporum and Glomus constrictum. Applied and Environmental Microbiology 71, 6673-6679. Raab P, Brennwald A, Redecker D, 2005. Mitochondrial large ribosomal subunit sequences are homogeneous within isolates of Glomus (arbuscular mycorrhizal fungi, Glomeromycota). Mycological Research 109, 1315-1322. 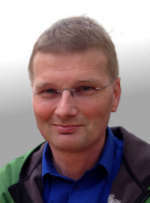 Oehl F, Redecker D, Sieverding E, 2005. Glomus badium, a new sporocarpic mycorrhizal fungal species from European grasslands with higher soil pH. Journal of Applied Botany and Food Quality 79, 38-43. Redecker D, Hijri I, Wiemken A, 2003. Molecular identification of arbuscular mycorrhizal fungi in roots: perspectives and problems. Folia Geobotanica 38, 113-124. Redecker D, Kodner R, Graham LE, 2002. Palaeoglomus grayi from the Ordovician. Mycotaxon 84, 33-37. Redecker D, 2002. Molecular identification and phylogeny of arbuscular mycorrhizal fungi. Plant and Soil 244, 67-73. Redecker D, 2002. New views on fungal evolution based on DNA markers and the fossil record. Research in Microbiology 153, 125-130. Hijri M, Redecker D, Macdonald-Comber Petetot JA, Voigt K, Wöstemeyer J, Sanders IR, 2002. Identification and isolation of two Ascomycete fungi from spores of the arbuscular mycorrhizal fungus Scutellospora. Applied and Environmental Microbiology 68, 4567-4573. Bruns T, Tan J, Szaro TM, Bidartondo M, Redecker D, 2002. 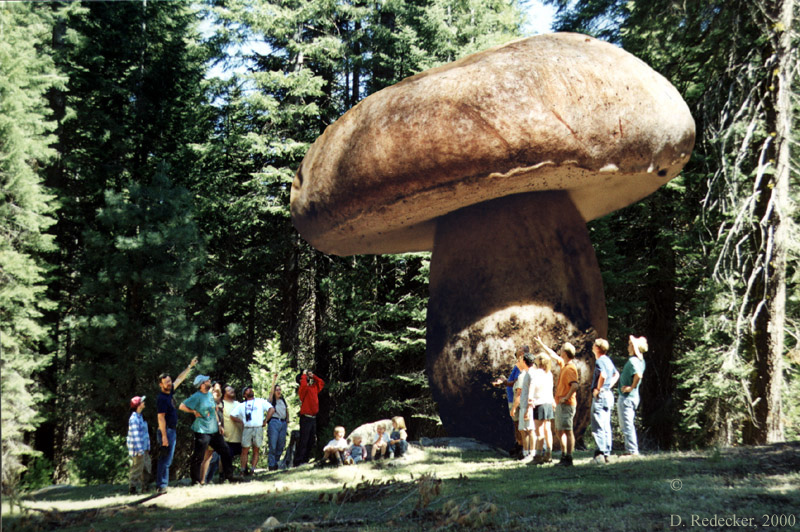 Survival of Suillus pungens and Amanita francheti ectomycorrhizal genets was rare or absent after a stand-replacing wildfire. New Phytologist 155, 517-523. Bidartondo MI, Redecker D, Hijri I, Wiemken A, Bruns TD, Domínguez L, Sérsic A, Leake JR, Read DJ, 2002. 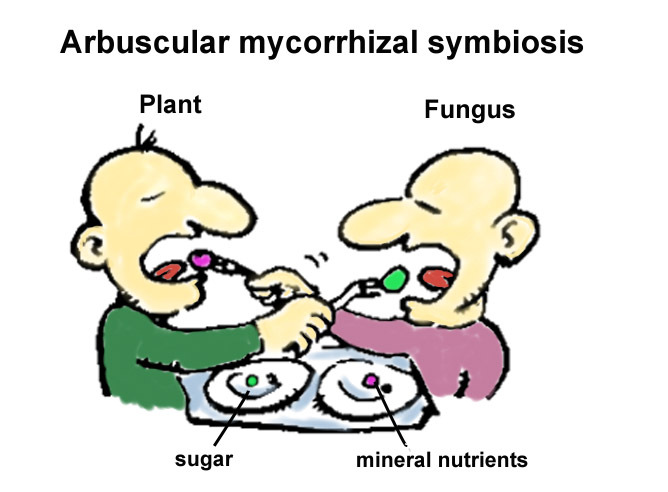 Epiparasitic plants specialized on arbuscular mycorrhizal fungi. Nature 419, 389-393. Redecker D, Szaro TM, Bowman RJ, Bruns TD, 2001. Small genets of Lactarius xanthogalactus, Russula cremoricolor and Amanita francheti in late-stage ectomycorrhizal successions. Molecular Ecology 10, 1025 –1034. Morton JB, Redecker D, 2001. Two new families of Glomales, Archaeosporaceae and Paraglomaceae, with two new genera Archaeospora and Paraglomus, based on concordant molecular and morphological characters. Mycologia 93, 181-195. Redecker D, Morton JB, Bruns TD, 2000. Molecular phylogeny of the arbuscular mycorrhizal fungi Glomus sinuosum and Sclerocystis coremioides. Mycologia 92, 282-285. Redecker D, Morton JB, Bruns TD, 2000. Ancestral lineages of arbuscular mycorrhizal fungi (Glomales). Molecular Phylogenetics and Evolution 14, 276-284. Redecker D, Kodner R, Graham LE, 2000. Glomalean fungi from the Ordovician. Science 289, 1920-1921. Redecker D, 2000. Specific PCR primers to identify arbuscular mycorrhizal fungi within colonized roots. Mycorrhiza 10, 73-80. Redecker D, Hijri M, Dulieu H, Sanders IR, 1999. Phylogenetic analysis of a dataset of fungal 5.8S rDNA sequences shows that highly divergent copies of Internal Transcribed Spacers reported from Scutellospora castanea are of Ascomycete origin. Fungal Genetics and Biology 28, 238-244. Redecker D, Feder IS, Vinuesa P, Batinic T, Schulz U, Kosch K, Werner D, 1999. Biocontrol strain Pseudomonas sp. W34: specific detection and quantification in the rhizosphere of Cucumis sativus with a DNA probe and genotypic characterization by DNA fingerprinting. Zeitschrift für Naturforschung 54c, 359-370. Redecker D, Von Berswordt-Wallrabe P, Beck DP, Werner D, 1997. Influence of inoculation with arbuscular mycorrhizal fungi on stable isotopes of nitrogen in Phaseolus vulgaris. Biology and Fertility of Soils 24, 344-346. Redecker D, Thierfelder H, Walker C, Werner D, 1997. Restriction analysis of PCR-amplified internal transcribed spacers of ribosomal DNA as a tool for species identification in different genera of the order glomales. Applied and Environmental Microbiology 63, 1756-1761. Abrecht H, Redecker D, Thierfelder H, Werner D, 1996. Increases in alpha-mannosidase activity in the arbuscular mycorrhizal symbiosis of Allium schoenoprasum. Mycorrhiza 6, 31-34. Redecker D, Thierfelder H, Werner D, 1995. A new cultivation system for arbuscular mycorrhizal fungi on glass beads. Angewandte Botanik 69, 189-191. Redecker D, Wehrmeyer W, Reuter W, 1993. Core substructure of the hemiellipsoidal phycobilisome from the red alga Porphyridium cruentum. European Journal of Cell Biology 62, 442-450. Courty PE, Smith P, Koegel S., Redecker D, Wipf D. 2015. Inorganic nitrogen uptake and transport in beneficial plant root-microbe interactions. Critical Reviews in Plant Sciences, 34:4-16. Gianinazzi S, Gollotte A, Binet MN, van Tuinen D, Redecker D, Wipf D, 2010. Agroecology: the key role of arbuscular mycorrhizas in ecosystem services. Mycorrhiza 8, 519-530. Redecker D, 2006. Evolution of metazoa and fungi. Comment on Rokas et al. (Science 310, 1933-1937). Science 312, 53. Mathimaran N, Falquet L, Ineichen K, Picard C, Redecker D, Wiemken A, Boller T, 2008. Unexpected vagaries of microsatellite loci in Glomus intraradices: Length polymorphisms are rarely due to variation in repeat number only. New Phytologist 180, 568-570. New Phytologist 180, 568-570. Redecker D, Schüßler A, 2014. Glomeromycota. In: McLaughlin D, Spatafora J (Eds), The Mycota, Vol. VII, Systematics and Evolution 2nd ed. Springer, Heidelberg. Gianinazzi-Pearson V, van Tuinen D, Wipf D, Dumas-Gaudot E, Recorbet G, Liu Y, Doidy J, Redecker D, Ferrol N, 2012. Exploring the Genome of Glomeromycotan Fungi. In: Hock B (Ed), The Mycota, Vol. IX: Fungal Associations 2nd ed. Springer, Heidelberg. Redecker D, 2012. Divisio/Phylum Glomeromycota. In: Frey W (Ed), Syllabus of Plant Families, Part 1: Blue-green Algae, Myxomycetes and Fungi, 13th ed. Bornträger Science Publishers, Stuttgart. Redecker D. 2006. Molecular ecology of arbuscular mycorrhizal fungi: a review of PCR-based techniques. In: "Molecular Techniques for Soil and Rhizosphere Microorganisms", (J. Cooper, J. R. Rao, eds.) CABI Publishing, Wallingford, Oxfordshire, UK, 198-212. Redecker D, Thierfelder H, Werner D, 1998. Production of biomass of arbuscular mycorrhizal fungi in the glass bead compartment system. In: Mycorrhiza manual (Ed. : A. Varma). Springer Verlag, Berlin/Heidelberg/New York, 495-498. Redecker D, Streit W, Thierfelder H, Parra A, Beck DP, Werner D, 1996. Interactions between arbuscular mycorrhizal fungi and rhizobia in the symbiosis with Phaseolus vulgaris. In: Azcón-Aguilar C, Barea J (Eds), Mycorrhizas in integrated systems from genes to plant development. Office for Official Publications of the European Communities, Luxembourg, pp. 653-656.